All the information here is about how to stay safe on the internet if you 5- 14+ or your a tearcher, parent or carer you will find different ways to feel and know how to stay safe. Just as you wouldn't leave your front door or windows open, you shouldn't leave your computer or phone unlocked. Your computer, tablet and phone hold loads of information about you. Your name, address, birthday, a list of your friends, hobbies, text messages, private photos and videos. What else might be on there? All of this is personal information which you need to keep secure. It’s valuable to you and to criminals. Make sure you keep it locked up! if you want to talk we are just a call away 0800 1111. The number won’t appear on your phone bill. We can help and protect you. 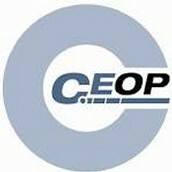 If someone has acted inappropriately online towards you or someone you know, you can report it directly to CEOP. It could be sexual chat, being asked to do something that makes you feel uncomfortable or someone asking to meet up. CEOP's Thinkuknow programme provides a range of free educational resources - films, lesson plans, presentations, practitioner guidance, games and posters - to professionals working with children and young people. Through the use of our educational materials you can help to empower and protect young people from the harm of sexual abuse and exploitation, both online and off. worried about a friend ? If you’re worried about a friend, talking to them about it can be a real help. It can be really tricky to know how to start a conversation. Remember that people often want to talk about a problem but wait until they’re asked.